In this interview, we feature Daniel Choo, Legal Counsel at Solvay. The Solvay Group is an international chemical and advanced materials company. Daniel shares about his experiences as an in-house counsel and ponders on the future of the legal industry. 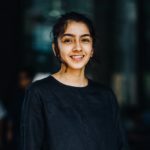 Why did you choose to go in-house? I chose to go in-house because I wanted to be closer to the core of the business. Being an in-house counsel has given me the opportunity to learn about the technicalities of chemical manufacturing. These are things that I would not usually be exposed to in a law firm environment. To give you a little bit of background, my current company manufactures a variety of chemicals. As an in-house counsel, I handle work that relates to chemicals used in cosmetic products, cars, airplanes and even the food that we consume. It was only after I joined Solvay that I realised how many chemicals were present in the products we consume on a daily basis. Initially, when I first joined Solvay, it was an intimidating experience. One reason being that it was my first time serving as an in-house counsel. In a multinational company (MNC), your colleagues expect you to be experienced in dealing with all kinds of matters. To give an analogy, being an in-house counsel is similar to being a general practitioner, where you get many requests on a variety of matters. Moreover, as an in-house counsel of a large MNC, you have a lot of internal clients -every single person you work with is your client . In addition to that, I have had to learn to deal with cultural differences. My office is like a mini United Nations (UN), it is comprised of employees of approximately 18 different nationalities. In certain cultures, people are reserved and habitually talk less. Whereas in others, people may be opinionated and quite vocal. It is a very dynamic and interesting working environment. Fortunately, my boss helped me greatly by coaching me on how to deal with the various clients and I adjusted soon enough. Dealing with internal customers would be the most challenging aspect of the job. In a law firm, you have a Partner you directly work for. However, in a MNC, you have many other players like directors, vice-president, etc. It is my job to give them business orientated advice and teach them how to take calculated risks. At the same time, when dealing with internal customers, you have to learn to draw a line between being assertive and being arrogant. This is a skill that I am still in the process of mastering. Another challenging aspect of the job would be the management of time. Resources are limited and the workload can be quite large. When there are many deadlines to meet, it can get pretty intense. What unique skill sets do you bring to the executive team? I bring business acumen to the executive team. In order to be able to give appropriate legal advice and add value, you have to be able to quickly understand the inner workings of the business. When you are dealing with your internal clients, they start with the presumption that you don’t know the problem. If they think that you don’t know the business well enough, they will not take your advice seriously. However, once you understand the business, you will require less time to understand the problem. You can then come up with a list of potential risks, refine that list and then discuss the pros and cons of taking those risks with the management. What types of matters require you to seek external counsel? Generally, the rule of thumb is to settle matters in-house. However, we do seek outside counsel when litigation proceedings are concerned, as we require a practicing lawyer to handle the matter. Another instance where we seek outside counsel is when we have specific questions about the law. For example, if we have a question about competition law, we will seek outside counsel’s input. This is especially when the area of law is not developed adequately and things are in a grey area. What are the common misconceptions about being an in-house counsel? Many people have the misconception that in-house counsel have nothing much to do. Respectfully, that’s not the case. As an in-house counsel, you need to think through each case, draft the legal documents and modify it many times. Even if you have a template, you will still need to customise it. There is no one-size-fits-all solution. What are other skills young lawyers need to stay relevant in the future? In my opinion, it’s really a matter of time before Artificial Intelligence (AI) will be able to perform tasks such as legal research and the review of legal documents. These are tasks that are usually passed on to interns and young lawyers. When that happens, I foresee that there will be a gap in the market because a portion of jobs will be taken up by AI. Young lawyers are likely to have a steeper learning curve and may be expected to do analytical work instead of basic research from the very start. However, I do feel that young lawyers have an added advantage, in that they are receptive to technology. By being able to adapt to new tools and learning how to find answers, young lawyers will be able to stay relevant. 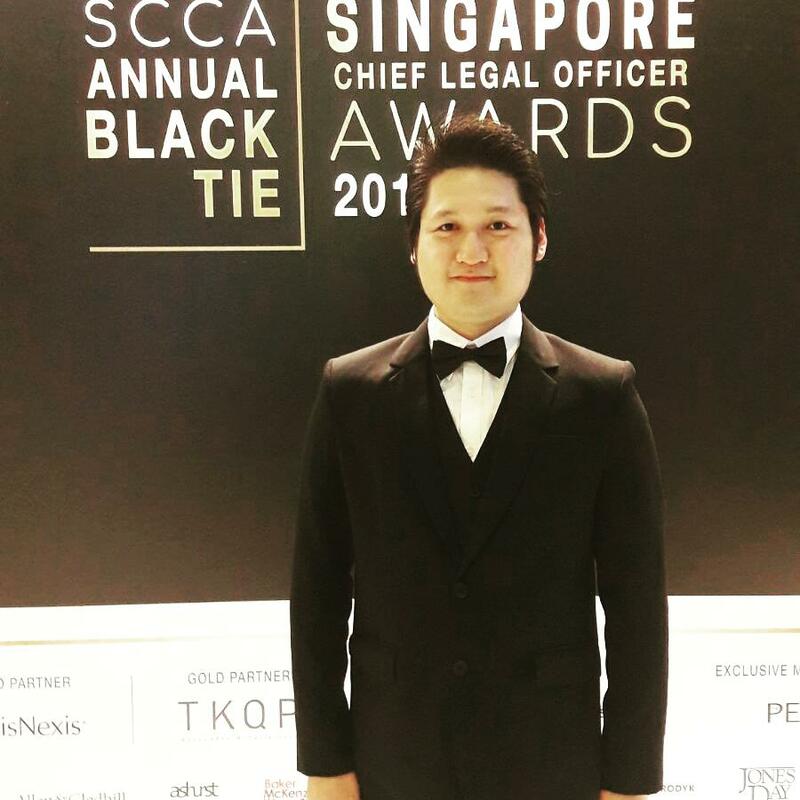 Daniel at the Singapore Chief Legal Officer Awards organised by the SCCA. When you first enter a meeting room, what song plays in your head? When I walk into a meeting room, the song “We are the champions” by Queen echoes in my head. It is a motivating song that gives me energy to power through any meeting.